Essential details for modern living. Naturally, our interior design takes its cues from our exterior world. So you’ll find our suites are alive with the colours found in nature. Our materials are natural too. Like our 100% wool carpets, artisan crafted concrete countertops made with recycled glass, the handmade glass tile work and stone tiling in all the showers to give you the feel of a west coast beach. The colour palettes within The Wade were inspired by the greens of new growth, the greys of beach stones and the cool and the minimalist shades of water in refracted light. Residents will be offered the freedom to mix and match those schemes throughout your home. The Wade is pleased to be that unusual. Buyers will each be able to meet with The Wade’s interior designer to customize their suite’s colour schemes. Book your tour of this full size show suite. 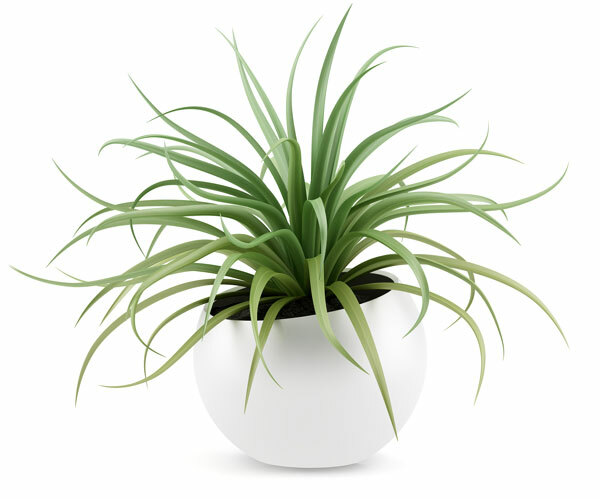 NASA has determined that some houseplants are more beneficial than others at removing harmful household airborne toxins, some to the point of removing 90% of chemicals in household air within 24 hours. As dyed-in-the-wool modernists, we salute that kind of space-age thinking. Residents at The Wade can take their choice of one of our top eight plant recommendations included as part of our commitment to forward living. View the floorplan for this and other suites.